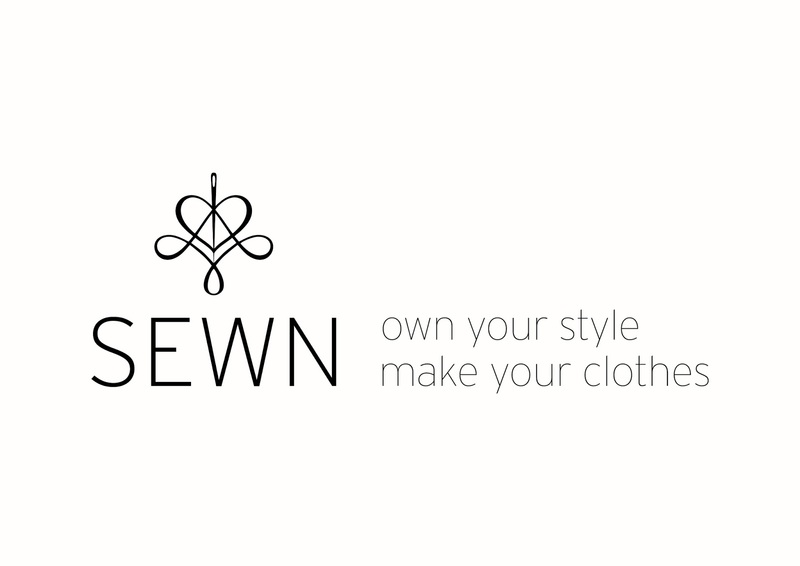 Over the past months I have been working seriously hard on a project to launch sustainable sewing lessons, now known as Sewn Sustainably. Well, this is something I am really passionate about, my values having evolved over the years alongside my beliefs that we should make the world a lot kinder to animals (and trees, and clouds...I could go on). The more I read, the more I looked at what I was doing and what my impact was on the environment. On top of that, I have a husband who is a world-leading journalist in climate policy (climate change deniers look away now) and so I have picked up a fair few points about the state of the world's climate, its future and what needs to happen to make any kind of dent in what looks like a less than good situation. But what has that got to do with sewing? First off, sewing is fantastic. 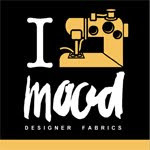 It's been my therapy for many years now and I have never stopped learning or enjoying sitting at my machine. It's also introduced me to wonderful, beautiful friends. However, I've come to realise it also has its negative points. And, I'm not just talking about fabric scraps. In the past few years, I've thought deeper about my habits, my purchases, and whether I could truly determine their impact. The answer is no. The cheap fabric by the metre, the endless purchases on a whim, it all has little transparency, and I couldn't even begin to investigate who made my fabric, whether they got paid a fair wage, whether their working conditions were safe. All the while, my cheap fabric sat in a pile on a shelf. I stopped buying fabric I didn't need, started busting through my stash, particularly old vintage textiles that denote a story and history, and only bought ethical fabric with certified labels. My thoughts then evolved to the idea of providing sewing lessons based on a sustainable concept. In terms of skills, I've been sewing for many years now and took a year off work to do a full-time course in advanced dressmaking and pattern-cutting (see my wedding dress which I designed and constructed). I believe I have the experience required to teach sewing techniques to less experienced sewers, having taught privately and at Ray Stitch in London. The concept of Sewn Sustainably is based on a capsule wardrobe consisting of classic garments that when made can be interchanged with each other from office to weekend; day to night. Currently, my classes include the classic white shirt, the classic t-shirt and the iconic box jacket. I'm featuring commercial and indie patterns that I have picked specifically combined with ethical fabric kits. In doing so, my students are able to trace the supply lines of their garments down to fabric production (including working conditions, wage and pollution). If you're interested in finding out about how the garment and textile industry and its impact on social and environment factors, check out Fashion Revolution who have an annual campaign which asks "who made my clothes?". 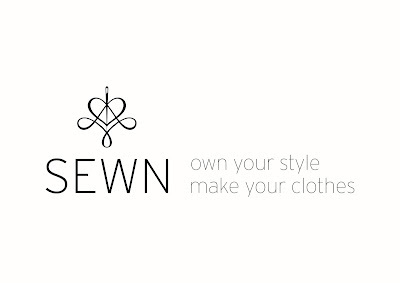 The first class at Sewn Sustainably is the classic white shirt. In my opinion, the white shirt is the timeless, understated queen of the wardrobe. If you need proof, just look at Marilyn in this picture. 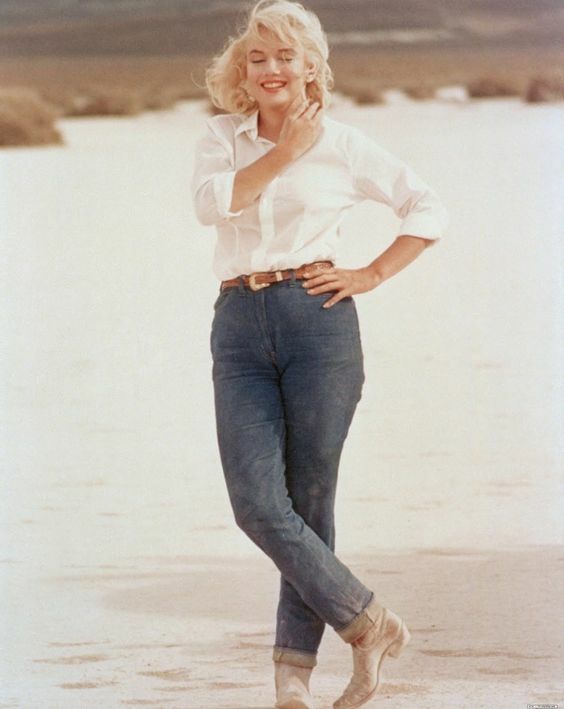 This was on the set of the Misfits (1961), but I really think you can't date this outfit. The white shirt brings a clean, fresh line to any outfit, equally stunning as both office or casual wear. When matched with the right fit and fabric, it's a sublime garment that will be worn over and over again. You can read more about the classic white shirt class at my new website Sewn Sustainably and details of the pattern and fabric are in this blog post. The classes will be held in Cambridge as myself and the Szabo clan will be moving there this autumn! London friends, don't despair, I'll be back and forth on a quick train ride, so I'll still be making those sewing-prosecco (sewecco?) meet ups, but I am looking forward to the good things Cambridge can offer such as space, safer cycling and a house with storage! I understand this won't be everyone's cup of tea and sustainability is a fairly new issue. But I've enjoyed building this idea within a sewing concept and look forward to spreading the word and doing a small thing for a big cause.